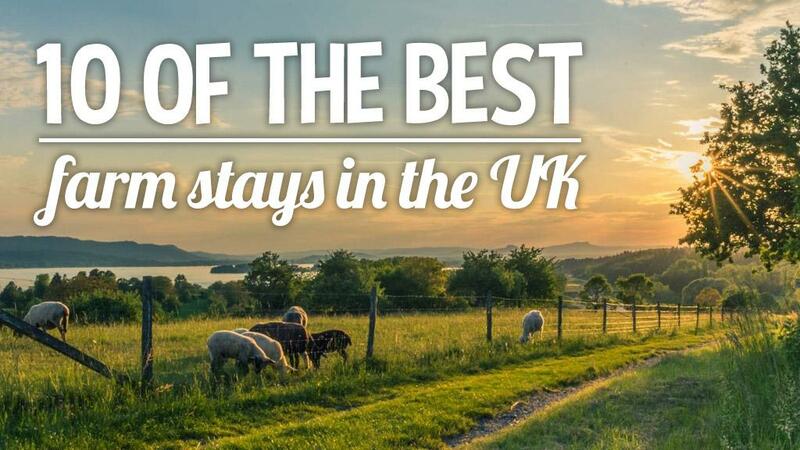 Here are some of the best farm holidays across the UK for you and your family. Is there anything better than being able to wake up and witness the beauty of the British countryside in all its glory? There definitely isn’t. As we hope for brighter weather over the coming summer months, here we take a look at some of the best farming holidays available across the UK, for all the family to enjoy. A working farm surrounded by the beautiful Isle of Wight countryside, Nettlecombe Farm offers everything from idyllic family holidays to yoga retreats. With barn conversions serving as accommodation, there is the chance to feed the animals, fish and take pleasure in the stunning scenery. Offering family holidays all year round, Manor farm, Gloucestershire, has a number of cosy cottages to choose from, from small to large families. With swings, trampolines and animals, your little ones will never get bored. As the website says, swap the rush of daily life for morning egg collection, glorious views and relaxation in one of Dandelion Hideaway's canvas cottages or glamping accommodations. Offering a different kind of camping holiday, this farm has everything you need: the views, the animals and the starry night sky. This award-winning 16th century farmhouse is located on the southern edge of the North York Moors National Park. An area known for its outstanding beauty, explore the many walks and historic sites this part of the country has to offer. The choice is yours - stay in the humble hideaway, hayloft or piggery and enjoy all sorts of activities from crafts to making your own pizza oven on Kate Humble's working farm. Set in the Monmouthshire countryside, the TV presenter wants everyone who visits to get a true taste of rural life. On the Ardnamurchan peninsula on Scotland's west coast, this stunning home offers self-catering family holidays for all to enjoy. Children can wake early to go and collect the freshly laid eggs and you can take in the inspiring scenery, a place known for its raw beauty and nature. Nestled in to the Welsh hills sits Drovers Rest, home to two recently converted, Drovers cottages and five safari glamping tents. With a passion for allowing its visitors to witness where food comes from, this family encourage everyone to get stuck in and have a real taste of farming, family life. Located above Hebden Bridge, this Farm Stay is perfectly placed to allow you to experience this popular tourist town or, explore the nature walks that surround it. An 18th century farmhouse, the site looks out over the National Trust estate of Hardcastle Crags and the ancient village of Heptonstall, steeped in history and natural beauty. Stay at Lower End House, The Cyder Mill or The Milking Parlour, Eckington Manor's five star accommodation located just a stroll away from their amazing cookery school where almost everything is sourced from the farm. The estate, an area of outstanding natural beauty, is also under the government's Environmental Stewardship Scheme, aiming to achieve the highest level of environmental conservation. A stunning 14th century farmhouse tucked in to the hills of Quantocks, this family offer an idyllic place to escape, with its four star accommodation and home-cooked, delicious meals. The glorious setting also hosts weddings and allows those who stay to learn all about organic farming.